Industry thought leaders discuss key trends impacting contact centers in 2017. Well, it’s the start of a brand-new year with new budgets, plans, outlooks and predictions. What’s in store for contact centers in 2017? We asked 17 industry experts to share their thoughts on what to keep an eye on in the next 12 months in various areas of interest to contact center professionals. Here’s what they had to say. This year we saw customer interactions evolve from traditional question-and-answer dialogues, to intelligent machines now enhancing the process and experience. Machines are learning patterns and providing answers to customers to help eliminate some of the mundane tasks that customer service agents used to handle; and intelligent machine personas like the Alexa in the Amazon Echo and Siri in various Apple devices, are paving the way. In 2017, we’ll see more capabilities when it comes to artificial intelligence and customer service, like Alexa triggering a call from contact center based on a question about online order status, thermostats submitting a trouble ticket after noticing a problem with the heater, or Siri searching through a cable company’s FAQs to answer to a commonly asked question about Internet service troubleshooting. However, one thing will always remain true—human interactions will still be critical when dealing with complex situations or to provide the empathy that is needed in customer service. Agents require additional training on emotional intelligence and conflict resolution skills. Customer self-service removes easy contact center interactions. What remains are the challenging scenarios. To handle those calls, agents require more than just product knowledge and technical skills. They need to be trained to handle complex interactions and emotionally charged situations. Agents need to be trained on proper business writing skills. Live chat, email and social media will soon account for more interactions than voice. As a result, written communication skills will begin to take precedence over having a good “phone voice.” In the past, agents with good verbal skills could thrive in a pure “call” center, even if they had poor writing skills. Now, agents may interact with one customer via live chat and then take an inbound phone call immediately afterward. Agents need training on both verbal and written skills. More robust eLearning solutions are needed. Millennials love multimedia. So, the old “eLearning” methodology of text-based lessons, followed by a multiple-choice test, fails to engage them. Instead, implement new eLearning solutions using audio and video to engage your agents. Sales techniques and best practices are put on steroids. Expanded metadata offers more granular analysis. Security remains a high priority for many organizations. Predictive analytics become a reality. Real-time insights remain viable but limited in practice. Utilization strategy is on the rise. Speech analytics become affordable for smaller companies. No longer do contact centers need to settle on analyzing a small sample size of randomly selected calls. The power of speech analytics allows you to automatically and consistently compare—and thus dramatically improve—the performance and effectiveness of your sales agents through a proven set of specialized metrics. Analyzing all agent-customer interaction allows you to drill down further than ever before to assess the impact of missed opportunities for cross-selling and upselling, agent rapport, customer needs, objection handling, call emotion, excessive silence and other skills that impact sales. I’m confident that improving sales effectiveness will have a greater impact on contact center profitability than any other speech-related factor in the coming year. Increase pay. Contact centers will continue to see a lower number of available candidates for each open position. Pay scales to attract the best agents will need to increase, as the supply of talent is the lowest in 10 years. Those centers increasing pay will attract agents from other centers; those not increasing wages will see the quality of their agents suffer, resulting in a decrease in customer experience. Move home. Technology has allowed contact centers to move agents home to work. This move saves contact centers significant costs, including space, electricity, facility charges and a host of other costs. Centers with an at-home workforce also have less impact to service levels as a result of weather, illness and outages. But more importantly, at-home workers have a lower attrition rate and are willing to work for a lower wage. According to a Harvard/Princeton study, workers are willing to take an 8% pay cut to work from home—when their employers offer at-home work. Surprisingly, workers are willing to accept a 21% reduction if they work for a company that does not offer a work-from-home option. Additionally, the agents have the ability to cut out the commute and related costs, and they can get a tax deduction for the portion of their home designated a workspace. Finding talent in 2017 will be a significant challenge for most contact centers, but understanding the workforce can make the process much easier and result in a higher-level agent supporting your customers. I have a distinct advantage in weighing in on the top challenges and priorities for 2017, as my article on our survey results attests (See the Special Report, “Contact Center Challenges & Priorities for 2017”). Putting a lens on technology specifically, I can resoundingly agree with our survey participants that omnichannel looms large as the greatest challenge. And to succeed on that front, centers need better desktops, including CRM and KM tools. They need to work with their counterparts in IT and digital channels to tie mobile apps and text/SMS, at a minimum, into the end-to-end customer experience that may land in the center. And they need to implement performance tools to manage not just voice contacts, but all the other media as well. The priorities in our survey show our participants solving some of these enablers ahead of the omnichannel pursuit. This dynamic means that businesses considering more cost-effective, digitally driven channels must ensure that they understand customers’ channel preferences and the influence they have on customer behavior and engagement. Those organizations that tip the balance in favor of digital at the expense of traditional service may risk not keeping their customers happy in the long run. Given this, customer engagement solutions, such as web and mobile self-service, voice web mobile/location feedback, speech analytics and knowledge management, will become even more important in the coming year. Omnichannel : The growing use of mobile devices by customers will continue to drive the growth of omnichannel communications in the contact center. Customers may prefer to use chat, email, SMS or social media to engage with customer care organizations. The increasing adoption of and comfort level of customers with mobile technologies, as well as the well-documented preference of millennials to use non-voice communications on mobile devices, will continue to accelerate non-voice customer engagement. Best-agent routing : The proliferation of “work anywhere” technologies, led by Voice-over-IP and completely browser-based agent interfaces, will increase the ability of companies to employ remote and at-home agents. This provides contact center managers with access to a more-skilled and specialized workforce, and enables companies to improve customer service by matching customers with the most appropriate agent to fulfill the particular customer’s needs. This matching becomes possible with use of deep predictive analytics, which can assess both customer tendencies and agent proficiencies to drive contact center routing selections.3. Unified Communications integration : Agents will increasingly be able to consult with subject-matter experts on-demand, using mobile-first Unified Communications technologies. These subject-matter experts can be reached anywhere, via whatever device is most convenient. Agents can see the online presence of experts in real-time, and collaborate using the most appropriate communications channel, be it instant messaging, team collaboration, voice, video and desktop sharing, used in any combination. This will improve business results by enhancing agent performance, first-call resolutions and improving customer satisfaction. Customer experience remains at the heart of many strategic plans. Customer experience essentially represents the promises made to consumers by the brand. The contact center must have a clear understanding of customer experience objectives in order to execute effectively on the promise. It is becoming increasingly important for the contact center to be able to contextualize reporting, budget requests, etc., within the customer experience objectives to gain access to budget dollars and visibility as a strategic player at the executive level. Don’t bother reporting simply on service level anymore. It is critical to educate those receiving reports on how service level impacts the customer experience rather than report metrics as isolated figures. 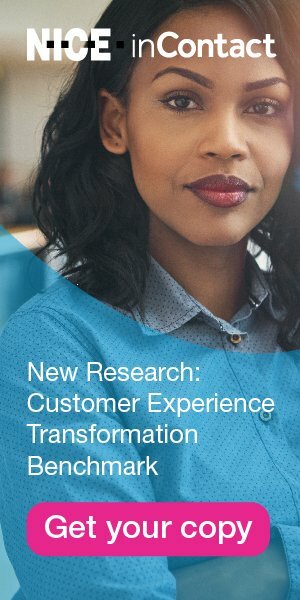 As a contact center leader, if you have not drilled down to the customer experience objectives within your enterprise you cannot wait any longer! Your entire contact center team must be fluent in the language of customer experience behaviors. You must communicate to the front line how every task, activity, event, contact and process either contributes to or contaminates the customer experience. Manage your future, your visibility and your value by contextualizing all contact center activities in the framework of customer experience—only then will the most senior levels of the enterprise recognize and fund the contact center of the future. During the course of the past decade, work-at-home for contact centers has evolved from an alternative staffing strategy to what is now a mature, proven, high-returning core business model. Eighty percent (80%) of contact center organizations in the United States utilize home working today. Why? Results are compelling and consistent. Customer Contact Strategies has collected data from 500+ companies over the past 36 months. Below are some key established trends when comparing in-house to work-at-home performance in the contact center environment. The interest in remote-working policies and practices is reaching broadly across enterprise functions, largely due to employee requests, attractive real estate benefits, and technology that easily supports a work-from-anywhere approach. But unlike the contact center work-at-home environment, effective management, output and engagement are often not as transparent or measurable in other functions where work is less transactional. That’s what makes the case so compelling for work-at-home in contact centers. Companies have exactly the same visibility of work output regardless of where representatives do the work (through CMS, Centerview tools, etc.). Enterprise social networks and chat enable broad knowledge and experience sharing for all employees, much more effectively than in-person, one-to-one exchanges. Video maintains the value of face-to-face interactions, and frequent polling invites connectivity and measurement of engagement. If your organization is considering a serious embracement of a remote-working strategy, the contact center is an excellent place to start. Highly transactional work, transparent outputs and superb technology have accelerated returns and marginalized the risk. Early adopters will begin using a single customer experience platform to mine data accrued from all points of engagement. This type of system will include self-service analytics, mobile analytics and big data analytics. Analytics do provide the insights that brands are looking for, but it’s important to view contact center analytics from a customer, agent and organizational perspective. Other solutions attempting to manage customer experiences cannot work beyond a single interaction. They’re either trapped in a function (sales, marketing, service) or a channel (voice, mobile, digital, social) or, even worse, both—in a channel, in a function. These silos are where accountability go to die. In the not-too-distant future, your digital marketing campaigns will have to deliver exceptional omnichannel journey management because most of your customers are active across multiple digital channels. Connected campaigns that orchestrate all customer interactions with ease will have a longer shelf life and drive better business results. And customers themselves are not single entities, either, as they’re part of a community: an enterprise, a neighborhood, a family, etc. Events happening within that community will drive behavior—behavior that you will only understand in an integrated big data world. The path forward for contact centers is omnichannel, where there has been a great deal of innovation to support seamless transition of the communication experience across multiple channels. These capabilities go well beyond the conventional telephony-centric customer service model, and cloud-based omnichannel provides unprecedented flexibility for how businesses proactively engage with customers. For inbound inquiries, agents can interact via whatever mode the customer prefers—telephone, web chats, messaging, video, etc. A more holistic view of how omnichannel adds value lies in enabling live agents to not only respond to incoming inquiries, but to also initiate automated outbound notifications to customers. The latter is a form of proactive customer service, and while many contact centers see the value of doing this, their premise-based systems lack the capability. Being notifications, these communiques provide a different form of service; rather than solving problems in a reactive manner, they communicate information that’s both timely and important. Since they are provided on an opt-in basis, the notifications are expected, purposeful, with specific outcomes in mind. When acted upon, they can prevent problems from manifesting. The flexibility of the cloud lets the contact center support all the modes used by customers to communicate. For many consumers, being able to use their preferred mode is central to the customer service experience, and their decision to opt-in for these notifications will largely be based on this capability.